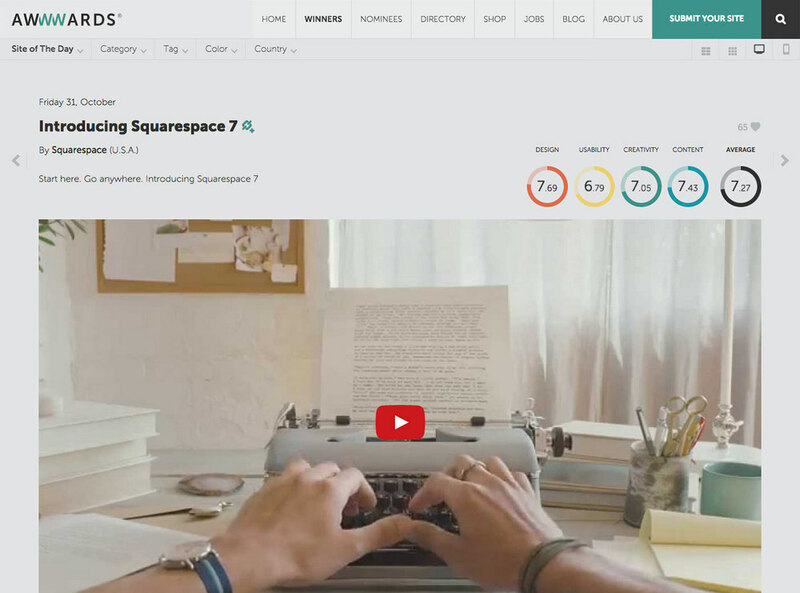 Launch campaign for Squarespace 7. I've done a lot of advertising for products I never needed to use, myself. In this case it not only changed my perception of the product, but convinced me to switch. You're looking at the result. 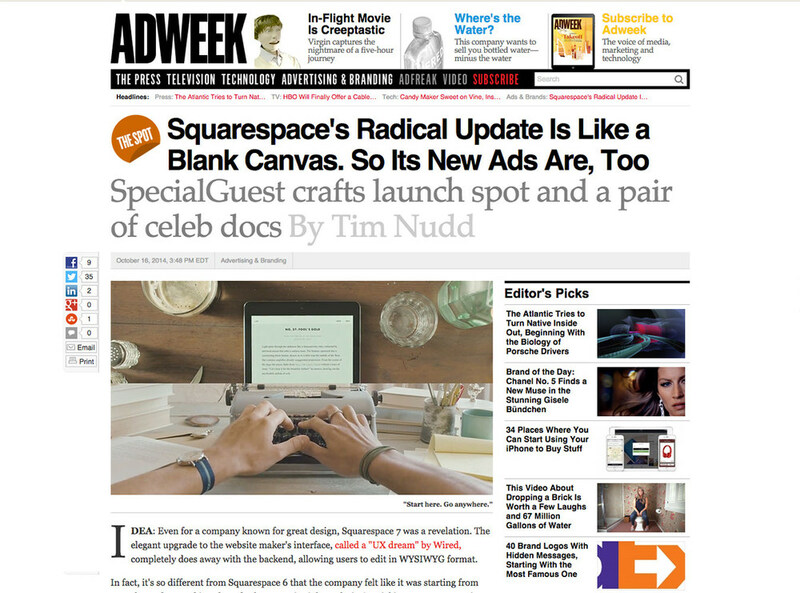 The folks over at AdWeek and Awwwards, among others, were real sweet. This intersection of technology, design and storytelling is what I consider the real point of this business. If you have a project in mind, let's talk.